How can we counteract the denigration of our profession and demand our place at the decision making table? One way would be to double down on professionalism. Teachers are currently under siege. Education reformers have targeted teachers as the culprits in what they see as American education’s failure to remain competitive with other countries. Teacher job security, salaries and pensions have come under attack by state governors advancing a misguided reform agenda. Teacher professional associations are vilified as protectors of poor performers. Teach for America is placing recent college graduates with no coursework in education into classrooms after five weeks of training and claiming they are getting great results. Teachers are not considered to be professionals because they are not. Anyone can become a teacher and it only takes 3 years of playing with paints and learning how to make potato stampers. Teachers are the least (by far) educated of those you tried to compare them to- lawyers, doctors, accountants etc. In many cases teaching is a last minute career choice because people trained in other fields cannot get jobs. I am sick of hearing teachers rating themselves [as professionals]- you have 3 months holidays a year, you are required to work less than 7 hours a day and you only need to train for 3 years and even then the training is at a basic standard. All righty then. Do we dare call ourselves professionals in the face of this kind of sentiment? Here is my favorite definition of profession: a calling requiring specialized knowledge and often long and intensive academic preparation (Merriam Webster Online Dictionary retrieved October 26, 2013). Does teaching fit the definition? Certainly, I believe teaching is a calling. Whenever I ask people why they went into teaching they talk about their love of children, their desire to make a difference in society, the pleasure they get from watching young people’s growing command of challenging skills. Some do say that teaching would allow them to balance a career and a family the way some other professions might not. Most people enter the field because they are called to it. I have encountered many second career teachers, who left a business world they did not find rewarding to teach. Does teaching require specialized knowledge? Here again the answer is yes. Teachers require specialized knowledge in child development, pedagogy, learning styles, exceptionality, classroom management, lesson design, literacy and much more. Is the training long and intensive? Well, if we compare the training to that of a doctor or even a lawyer, the answer is no. Teachers can get their license to teach after earning a bachelor’s degree that includes a period of practice teaching. The practice teaching is usually formally one semester, although most schools of education get their pre-service teachers into the classroom for some experience beginning in the sophomore year. From my own experience and from the experience of most teachers I have known, student teaching is intensive. Perhaps it should be more extensive. I doubt that anyone enters the classroom fully prepared and research indicates that it takes about 3-4 years to master the craft. I believe that teaching easily meets the technical definition of a profession, but many forces keep the public from viewing teaching as a true profession. Among these forces is low pay (never a good route to respect in the US), the number of women in the profession (for ages other professions like doctors and lawyers were male dominated), the characterization of teacher professional associations as unions (think Teamsters), and the fact that all Americans have gone to school and wonder just how hard the job can be. Of course, then there are the old canards about “holidays” off and short work day schedules. What other profession would have national standards imposed on it without the full participation of the professionals who would be affected by those standards? How is it that the teaching profession was denied a place at the Common Core State Standards (CCSS) table? The CCSS and the supporting materials being distributed with them, the widespread reduction in autonomy that teachers face, the growing movement to put untrained college kids in the classroom and the insistence on tying test scores to performance, all point out that the outside world and especially the education reform world has little regard for teachers as professionals. How can we counteract the denigration of our profession and demand our place at the decision making table? One way would be to double down on professionalism. It is one thing to be a member of a profession; it is another thing to consistently display professionalism. What would a culture of teacher professionalism look like? 1. The production of high quality work day in and day out. This will mean well-planned and engaging lessons that have clear objectives and clear ways to assess student achievement of the objectives. Providing students with clear, formative feedback that will help them improve their learning. 2. A high standard of professional ethics. This will mean putting the student first in all considerations, not in the reformy way that this is used as a battering ram against unions. This means never denigrating a child either to his/her face or in the teacher’s lounge during lunch. It also means never denigrating other professionals with whom you work in front of parents or others. One of the great sadnesses of my career in education was to hear teachers say to students or parents that a previous teacher should have taught something and now the class was behind. Professionals don’t bash each other to their clients. 3. Insisting on a level of autonomy in your instructional decision making. It is the law in most states that the local school board establish the curriculum and that teachers carry it out. Beyond that it is the professional's job to determine how best to deliver that curriculum to the students in the classroom. We must assert our autonomy in finding the best instructional practices to meet the needs of our students. 4. Maintaining a consistently collegial attitude toward fellow teachers and supervisors. Teachers must show a willingness to share ideas and provide support to junior colleagues and to learn from all colleagues. 5. Having the ability and willingness to reflect upon instruction and seek ways to improve performance. Improved performance can come from personal research, dialogue with colleagues or from seeking out relevant professional development opportunities. 6. Meeting deadlines and keeping accurate records. 7. Maintaining open lines of communication with parents and members of the public. 8. Being a life-long learner. This means reading the current journals, keeping up with the research and furthering your education through pursuit of advanced degrees. 9. Treating professional development opportunities seriously and attempting to learn from every such opportunity. Treating professional development providers with respect (as long as they respect you and observe all the characteristics of professionalism listed here). I recently did a presentation to a group of teachers and afterward a teacher who had attended and was clearly a master teacher, thanked me and said she learned something. I thanked her and said I hoped she learned something she could use in her classroom. She then said, “I always learn something at professional development even though I have been doing this for a long time.” This is a professional attitude. 10. Being an advocate for children, teachers and teaching. This means writing letters to the editor when the local newspaper supports some reform agenda that is bad for kids and education. It means letting your voice be heard when draconian testing policies are put in place. It means helping the public draw the curtain back on the phony “we’re in it for the kids” rhetoric of the corporate reform movement. It means being a cheerleader for all that is right and good about our profession and a loud and persistent scold about all that is wrong. What do you say? Let’s stand up and speak out for our calling as a profession. We can do it by modeling professionalism, treating each other as professionals and keeping our voices in front of the public as the concerned, knowledgeable and capable professionals that we are. Could the Common Core Widen the Achievement Gap in Reading? By ignoring the research on early childhood literacy, the designers of the CCSS for ELA may be putting at-risk children at even greater risk. I just received a new book in the mail this week. I am still reading it, but I want to recommend it now to all who are interested in the issue of literacy instruction and the impact of recent government policies on teaching and learning. The book is Whose Knowledge Counts in Government Literacy Policies? Why Expertise Matters, edited by Kenneth Goodman, Robert Calfee and Yetta Goodman, published by Routledge. The book is a collection of essays by members of The Reading Hall of Fame, some of the top researchers in the literacy field. The first essay I turned to was by Elfrieda Hiebert and Katie Van Sluys on the issue of text complexity. Text complexity is Standard 10 of the Common Core State Standards (CCSS) in ELA. I have addressed the issues related to text complexity in two previous posts here and here. I revisit the topic now due to an increased sense of urgency based on my reading of the Hiebert and Van Sluys article. Here is the bottom line: two key assertions in the CCSS explication of text complexity (CCSS, Appendix A) are not only false, but could cause irreparable harm to developing readers, especially those who are at-risk as they enter school. Assertion 1: K–12 reading texts have actually trended downward in difficulty in the last half century (CCSS, Appendix A, pg 2). Assertion 2: Readability standards must be realigned to achieve the goal of college and career readiness by raising the text levels in all grades beginning is second grade. This is the so called “stair step” model of realignment (CCSS, Appendix A, pg 8). Assertion 1 is easily refuted by the evidence. Hiebert and Van Sluys say that “several [research studies] refute the idea that primary grade texts have been simplified” (page 147). Indeed there is evidence that readability in these primary grades has actually increased as literacy expectations have been pushed down into kindergarten over the last two decades. There is a text-complexity gap in middle and high school, but there are no studies that indicate boosting the text complexity of materials for second and third graders will improve their ability to read more complex text later. Perhaps failing to have one early childhood educator involved in the design of the CCSS led to this piece of misinformation. Assertion 2 represents a failure to conceive of an alternate design to increasing readability standards. The authors of the CCSS reasoned (I must assume) that if we want kids reading more complex text by high school graduation, then we must have them reading more complex text at all grade levels beginning in second grade. Students are expected to march through higher and higher levels of text in a stair-step fashion. As Hiebert and Van Sluys point out, there is another way to think about this. Rather than a “stair-step” approach to increased readability levels, they recommend an "up-swinging curve" model. Students in the primary grades would work to achieve proficiency at the long established research supported pre-CCSS levels and after gaining this solid foundation in literacy, be prepared to work with more complex texts in middle and high school. Research has shown that students who reach pre-CCSS levels of literacy by the end of third grade are less likely to drop out of school. Aiming at a lower level than the CCSS is recommending will actually better prepare children for more challenging reading later on. So, there we have it. Too slavish an adherence to the CCSS guidance on text complexity may actually widen the achievement gap. The first four years of school are critical to the development of eager, fluent and skillful readers. By ignoring the research on early childhood literacy, the designers of the CCSS for ELA may be putting at-risk children at even greater risk. An Unasked Question of the Common Core: Are Colleges Student Ready? Research has shown us that appropriate scaffolding before, during and after reading is not only appropriate, but it is best practice. The Common Core State Standards (CCSS) are designed to insure that our children graduate “college and career ready.” The burden for getting kids “college and career ready” is placed on the K-12 institutions. Fair enough. This seems to be a reasonable goal for pre-college schooling. Let’s leave aside for a moment that being college and career ready requires many non-cognitive factors (academic mindset, academic perseverance, academic behaviors, social skills, learning strategies) not touched on in the CCSS and focus for a moment only on college readiness as related to reading ability. Appendix A of the CCSS tells us the following (emphasis mine). The difficulty of college textbooks, as measured by Lexile scores, has not decreased in any block of time since 1962; it has, in fact, increased over that period (Stenner, Koons, & Swartz, in press). The word difficulty of every scientific journal and magazine from 1930 to 1990 examined by Hayes and Ward (1992) had actually increased, which is important in part because, as a 2005 College Board study (Milewski, Johnson, Glazer, &Kubota, 2005) found, college professors assign more readings from periodicals than do high school teachers. Furthermore, students in college are expected to read complex texts with substantially greater independence (i.e., much less scaffolding) than are students in typical K–12 programs. College students are held more accountable for what they read on their own than are most students in high school (Erickson & Strommer, 1991; Pritchard, Wilson, &Yamnitz, 2007). College instructors assign readings, not necessarily explicated in class, for which students might be held accountable through exams, papers, presentations, or class discussions. Students in high school, by contrast, are rarely held accountable for what they are able to read independently (Heller & Greenleaf, 2007). My key takeaways here are as follows. 1. College reading has gotten more difficult over the last 50 years. 2. Students in college are expected to read with much less scaffolding than K-12 students. 3. College instructors assign readings to students which may or may not be explicated in class. This leads me to two questions that I am surprised no one has asked. 1. Is it reasonable to expect students, upon entering college, to read admittedly challenging material in a wide variety of subjects, with little or no support? 2. Does the college instructor, as the acknowledged expert in the field, have a responsibility to assist students in processing this challenging reading material? Let’s just take for example a standard college freshman course, General Psychology. Typically these courses are taught by instructors with a Ph.D. in psychology. The text books for these courses tend to be very challenging reading for first-year college students. Much of the vocabulary will be new, the concepts difficult to grasp and the reading dense. Asking a student to read this material independently and process it without appropriate scaffolding would be the instructional equivalent of throwing a 3 year-old into the deep end of the pool to teach her how to swim. As the expert in the field, the person most qualified to help the student deal with the issues presented by a challenging text is the course instructor. When assigning reading care should be taken that students have activated the appropriate background information, have some sort of guide to help them as they read and have some opportunity after the reading to process their understanding with the guidance of the expert. For me this is a part of the college instructor’s responsibility. The CCSS seem to accept unquestioningly that students will not get this kind of instruction. They argue that students must arrive on the college campus able to survive without appropriate support. I worry that this blanket acceptance at the lack of scaffolding on the college level will lead K-12 teachers to think that the very kind of scaffolding they provide students should be withheld because by withholding support we will be helping students be college ready. Nothing could be farther from the truth. Research has shown us that appropriate scaffolding before, during and after reading is not only appropriate, but it is best practice. Certainly we should leave some questions for the students to wrestle with independently, but we should not leave students to fly on their own in some mistaken attempt to make the instruction more rigorous. I think we would be wiser to look on college students as works in progress in the same way that we look at our K-12 children as works in progress. We hope to deliver engaged, capable readers to college, who are moving toward greater independence as readers. Being college ready should be measured over four years of college, not on a pre-entrance exam alone. College instructors have a responsibility to provide students with instruction, not only in the content of their subject, but in the ways to read and learn about that subject as well. Saturday's Trenton Times had this editorial enthusing about TEACHNJ the new teacher evaluation law. I wrote the letter below to the editor in response. I was certainly entertained by reading Janellen Duffy’s rather breathless endorsement of TEACHNJ in Saturday’s (October 12, 2013) edition of the Trenton Times. In these days of rampant cynicism it is nice to read such gosh-golly-gee-willikers enthusiasm in print. Alas, if only Ms. Duffy had saved her enthusiasm for something worthwhile. TEACHNJ is a law that resulted from the determination of Commissioner Cerf and Governor Christie to use student test scores to assess teacher effectiveness. This effort alone is fraught with problems. First of all, these tests are designed to measure what students have learned, not teacher effectiveness. Using a test designed for one thing to measure another violates the first rule of statistical measures. Secondly, the ability of the Student Growth Percentiles (SGPs) to determine teacher effectiveness has been consistently questioned in the education literature. Only 20% of teachers teach classes where students are evaluated using State tests (math and language arts in grades 3-8). It would obviously create discord in a school if a few teachers’ jobs were on the line due to test scores, while the other teachers skated by. The DOE solved this problem by making all other teachers develop Student Growth Objectives (SGOs). While this might serve the purpose of keeping some peace in the school building, there is no evidence that SGOs are an effective way to measure teacher effectiveness. The DOE’s own website points teachers to an article that says, “there are not yet any research-based models for evaluating teachers’ impact on student learning for non-tested groups”(Goe & Holdheide, 2011). This is the kind of measure we are to use to make tenure decisions? To read Ms. Duffy’s article you would think that teacher evaluation and professional development did not exist prior to TEACHNJ. In my experience as a school district administrator, I have seen rigorous programs of evaluation and professional improvement in many New Jersey school districts. I have seen the vast majority of teachers well prepared and willing to work to improve. I have seen the vast majority of administrators who are knowledgeable about instruction and dedicated to helping teachers do well. TEACHNJ is a slap in the face for every education professional in the State. Should teacher evaluation and professional development be better? Certainly. Will tying teacher evaluation to test scores and growth objectives improve student learning? The research would indicate that it is not likely. If teachers based their instructional practice on research as shaky as this, they would certainly not receive a good evaluation. Perhaps it is time to evaluate the evaluators. Chris Christie and the "Failure Factories"
Chris Christie is tremendously popular in New Jersey primarily because he casts himself as a truth teller and New Jersey tough guy in the Tony Soprano mode. In these days of wishy-washy politicians and an endless stream of political correctness coming over the airwaves, Christie’s in-your-face style resonates. He will likely skate to an easy re-election in a few weeks. Unfortunately, the characteristics that make the Governor popular do not make him a good leader. Certainly in the area of education, Governor Christie is more demagogue than leader. The truth of this was brought home again by Christie’s recent characterization of 200 public schools in New Jersey as “failure factories.” This kind of rhetoric makes a good sound bite, but it does irreparable harm to the children, parents and educators of New Jersey. Why would the Governor of the State of New Jersey demonize children and educators in this way? For political purposes, of course. Christie is anti-teacher union and pro privatization of education. He looks to increase the numbers of charter schools and push a voucher measure through the legislature. Both of these initiatives take money away from public schools and place it into private hands. If you are still under any delusions that charter schools are public schools, please read this from Anthony Cody of Education Week. Of course, there is a major problem in the inner cities of New Jersey and doing nothing to improve the educational opportunities of children in these schools is not acceptable. But what would an actual leader do when faced with the daunting issues of turning around education in the State’s urban areas? Well, a leader might look around and notice that his State has the third highest educational achievement of any state in the country, behind only Massachusetts and Vermont. That must mean that many public schools in New Jersey are doing very well indeed. A leader might try to find out what these schools are doing right. What that leader would find is many high achieving schools and school districts throughout the State of New Jersey. That leader would also find that virtually all of those schools had strong teacher unions, tenure and seniority rules, reasonable working conditions and competitive pay and benefits. The leader would also find a healthy mix of experienced and newer teachers, programs for continued professional development and a staff of teachers, support staff and administrators dedicated to student well-being and achievement. The leader might notice that these schools had a rich curriculum that included lots of opportunities in the core subjects, but also in arts education, athletics and co-curricular activities. The leader might also note that the school buildings themselves were in good repair and had an adequate supply of educational materials, including well-stocked and well-staffed libraries, to support the teachers and children. A leader might then conclude that unions, tenure and seniority are not what is wrong with the schools. That conversely strong unions, competitive salaries and benefits and good working conditions actually make a school attractive to a prospective teacher. The leader might further conclude that a bare bones curriculum, crumbling infrastructure and staffing reductions would not be in the best interest of a thorough and efficient urban education. A real leader could only then conclude that vouchers and charter schools were not going to change the calculus for the inner city child. Only through a combined effort to do something about poverty and to ensure that urban schools were properly funded could real inroads be made. A leader would then try to move forward with a plan on two fronts. What we get from Christie is not leadership, but demagoguery. We get a cynical appeal to our baser emotions and prejudices, instead of a visionary plan that might make a real positive difference in children’s lives. With his sound bite outbursts about “failure factories”, Governor Christie continues to throw urban children, parents and educators under the school bus. What if Chicken Little had 70 billion dollars? Would his comical error in believing the sky is falling have been dismissed so quickly? Would the acorn of truth have been discovered and Chicken Little disgraced? Instead of making Chicken Little the laughingstock of the barnyard, would we instead be drawing up plans for “sky proof” shelters and evaluating them with standardized quality control measures all financed by Chicken Little’s largesse? Perhaps Chicken Little would decide that the public barn on the farm was substandard and he would contract out to have charter barns built. Perhaps he would finance a project to bring Common Corn to the barnyard feed, so that chickens in Mississippi would be fed the same stuff as those in Wisconsin. Perhaps Chicken Little would be lionized in the media as the great fowl hope for the future of barnyards everywhere. In Reign of Error: The Hoax of the Privatization Movement and the Danger to America’s Public Schools, Diane Ravitch, highly respected author, professor and former Assistant Secretary of Education, has discovered the acorn in the so called education reformers’ barnyard. What is the truth? 1. Our schools are not failing. 2. Test scores are higher than ever. 3. Genuine progress has been made in narrowing achievement gaps. 4. High school dropout rates are at an all-time low. 5. Poverty is not an excuse for ineffective teaching; poverty is highly correlated to low achievement. 6. Test scores are not the best way to determine teacher effectiveness. 7. Merit pay has never improved achievement. 8. There is no evidence that schools will improve if tenure and seniority are abolished. 9. Teach for America which began as a noble experiment has lost its way and is now a tool for the corporate reformers. 10. Charter schools run the gamut from excellent to mediocre to awful and are no more innovative or successful than public schools. 11. Virtual schools are a poor substitute for real teachers and real schools. 12. Vouchers are a major step toward privatization and most Americans do not favor them. 13. Firing teachers and principals and closing schools will not improve learning. Ravitch backs up each of these assertions with the kind of strong narrative story telling one would expect from America’s premiere education historian. But she also provides a wealth of charts and graphs that demonstrate each of the points she makes. It is in this hard data that the acorn of truth is to be found. The data make a compelling argument that the American public has been sold a bill of goods by the reformers. And why has this bill of goods been so easy to sell? First of all, there is the incredible amount of money that has been invested by Bill Gates, Eli Broad, the Walmart Family and others. Second of all, powerful politicians like George W. Bush, Barack Obama, Secretary of Education Arne Duncan, Louisiana Governor Bobby Jindal are vocal, in power, and on board with the reform rhetoric. There is no loyal opposition here, the Democrats have basically adopted the Republican plan and doubled down on it. Finally, the reformers have a seductive message: the schools are failing and we know how to fix them. Ravitch sees the reform movement as a privatization movement. Charter schools like to say they are public schools, but many are run by for profit companies. When challenged to provide the kinds of data required of any public school, they refuse on the basis that they are not public. Many have harsh discipline policies that would never fly in public schools. Apparently they are only public when feeding at the public trough. Vouchers have lead in Louisiana to the growth of many fly by night schools looking to turn an easy profit by attracting desperate parents with promises they can’t keep. Charters, vouchers and the entire reform movement is seen by Ravitch as an existential threat to one of the most bedrock of all American institutions – public education. 1. Provide good pre-natal care for every pregnant woman. 2. Make high quality early childhood education available to all children. 3. Ensure a full balanced and rich curriculum, which includes the arts, science, history, literature, civics, geography, world languages, mathematics and physical education for all children. 4. Reduce class sizes, particularly in schools with large numbers of struggling children. 5. Ban for-profit charters and charter chains and ensure charter schools work collaboratively with public schools. 6. Provide the medical and social services that poor children need. 7. Eliminate high stakes standardized testing and rely instead on assessments that allow students to show what they know and are able to do. 8. Insist that teachers, principals, and superintendents are professional educators. Work to attract capable students to the profession and provide them with a rigorous training program. 9. Protect democratic control of the public schools through elected local school boards. 10. Devise strategies to reduce racial segregation and poverty. Will implementing these strategies be easy? Of course not. Will implementing these strategies cost money? Certainly. If we don’t find the will to do these things that might actually make a difference in students’ lives; however, then we are abandoning them to the drudgery of a test driven business model of education that will raid the public coffers for money and leave every child behind. Buy the book. Read it. Get angry. And then get busy spreading the word that Chicken Little has gotten it wrong again. Reign of Error: The Hoax of the Privatization Movement and the Danger to America’s Public Schools, by Diane Ravitch. New York: Alfred A.Knopf. Recently a post on Jonathan Pelto’s excellent blog, Wait, What?, led me to two articles on the education reform movement by retired Bridgeport, Connecticut school principal Ann Evans de Bernard. Dr. Bernard called the efforts of rich white business people and politicians like Bill Gates, Eli Broad, Jeb Bush and Connecticut Governor Dannel Malloy, “colonialism.” I could not get the term or the concept out of my head. That term “colonialism” along with another Pelto blog entry on the “No Excuses” discipline practices in charter schools coalesced to bring focus to a concern I have been carrying around for some time. Why a different(and harsher) discipline code for charter schools? First, please indulge a brief history lesson. Colonialism described a period of European expansion starting in the late 1400’s that included the exploration of the Americas. The colonialism that Dr. Bernard describes is probably best embodied by the actions of western European countries toward Africa and Asia in the late 19th and early 20th centuries. With a combination of national zeal and Christian fervor, European nations pillaged great swaths of Africa and Asia in the name of “civilizing the heathens.” The most altruistic among the colonizers sought to bring Christian religion and “improved” living conditions to the two continents. The less altruistic sought to conquer new lands and subjugate peoples for financial gain. No one bothered to ask the people who were being converted and whose lives were being disrupted irreparably if they wanted any of this. The superior and white Europeans (and, of course, in the American west, white Americans) were going to “raise those savages up.” This was, in the words of noted imperialist Rudyard Kipling, the “white man’s burden.” The damage wrought by this period of supreme racial and national arrogance is still being felt throughout the world today. That brings us back to the present day charter movement and “No Excuses” discipline programs. Jonathan Pelto describes “No Excuses” as a “militaristic, highly disciplined, autocratic system in which children are forced to understand that discipline, conformity and following rules is the fundamental cornerstone that leads to academic achievement.” What I have personally observed reinforces what Pelto says here. Students who squirm under the thumb of this autocratic system are dealt with harshly. Some are placed “on the bench.” If you are on the bench you are physically separated from classmates and may only speak to the teacher. You must sit at a silent table during lunch and you must write and orally deliver letters of apology to your classmates for disrupting their learning. In a "no excuses" school I visited, all the students wore blue shirts and khaki pants. I noticed that while this was nearly universal, a few children had on yellow t-shirts over their blue shirts. When I inquired about this, I was told that these children were being punished for talking in class or the hallway or for disrupting class in some way. They were "on the bench” and the yellow shirts identified them as such. Yellow shirts! Wear your shame for all to see. I guess Walmart was out of dunce caps. Now, I understand that good order and discipline are necessary for the smooth operation of a school and to generate a sound learning environment. But I have to wonder why this particular form of militaristic, intentionally humiliating discipline was chosen for inner city kids in inner city schools. It would never fly in a suburban district. Other choices are available, like the well-researched and highly effective Responsive Classroom strategies that respect the integrity and individuality of every child. So why “No Excuses?” Dr. Bernard’s word colonialism gave me my answer. The children of the inner city are being treated by their “benefactors” as inferiors. Charter schools are colonial enterprises. Concerned with the negative publicity surrounding the use of Value Added Models (VAMs)* for teacher evaluation, the Grates Foundation, the Foundation for Excess in Education, RheeFirst and other proponents of such models have decided to take a new approach to promoting the controversial mathematical model. “People are having difficulty grasping the complicated statistical formulas,” said spokesperson Eric “Fuzzy” Numbers. “We needed to come up with an entertaining way to promote the program. We were sitting around crunching incomprehensible data one day, and we hit on the idea of a mascot. We were thinking along the lines of Smokey the Bear or the San Diego Chicken. And so, VAM Moose was born. I think we have really hit the jackpot with this one. At first we were going with a ferret, but decided the moose was cuddlier. 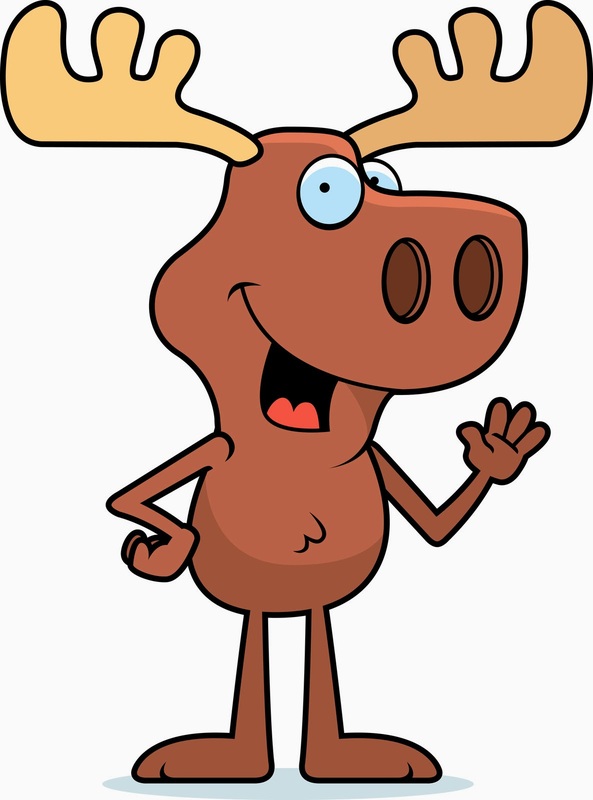 His motto is, “Raise those test scores or VAM Moose!" Catchy, huh? * For the uninitiated, VAMs are statistical models that use student scores on standardized tests to mis-measure teacher effectiveness. They have been very popular with education reformy types. For a fuller, and more sober analysis of this flawed tool please see the following.